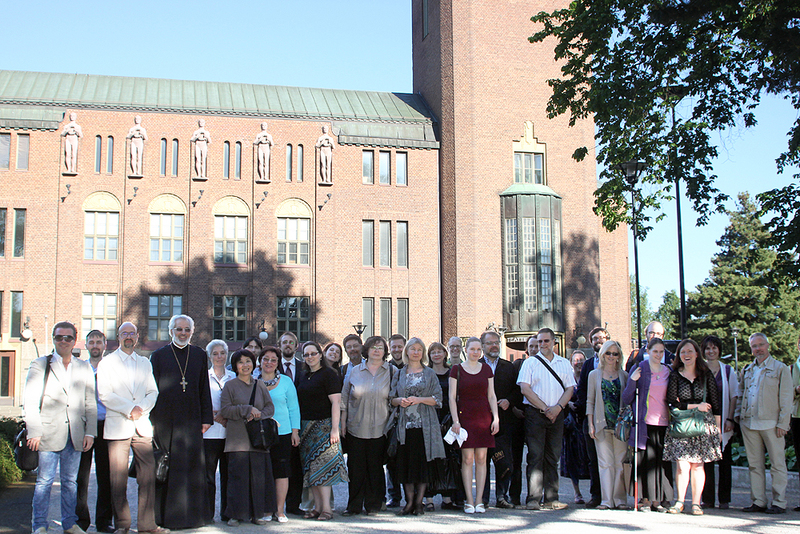 Vespers and the Divine Liturgy were celebrated at the Church of St John the Theologian on the campus of the Finnish Orthodox Seminary and at the local parish of St. Nicholas in Joensuu. Participants joined local faithful in serving, chanting, and leading the singing of responses during the services. 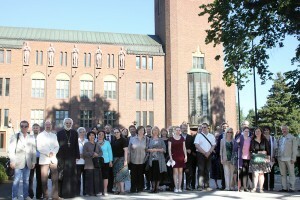 The city of Joensuu hosted a reception during the conference, and participants also made a pilgrimage to the New Valamo and Lintula monasteries in Eastern Finland. The record number of participants is encouraging during times of uncertainty and contraction, and the variety of topics on all aspects of church music suggest a growing interest and desire to explore the beauty and depth of Orthodox Christianity. Presentation topics ranged from the practical and aesthetic aspects of chant from Serbia, Bulgaria, Albania, and elsewhere, to presentations on early hymnography, newly-composed music, and the correspondences between iconography and hymnography. Founded in 2005, the ISOCM seeks to provide an open platform for musicians, musicologists, singers, and composers that encourages dialogue, the exchange of information and ideas, and inspires cooperation. The Society sees the promotion of communication between East and West as one of its priorities. The biannual conferences, hosted at the university in Joensuu, Finland are just one of the ways ISOCM accomplishes this goal. The next conference will be in June 2015, also in Joensuu, Finland.